Hello to all the girls who live in LA! Spring has sprung. What is a girl to do in one of the most fun cities out there? Well the obvious is clear: go hang out at the beach, go for a hike, visit a theme park, and the like. But here we have compiled a list of 25 super fun things that may have fallen off your radar; events and activities, and even some fun at-home suggestions to have you celebrating the season the right way. 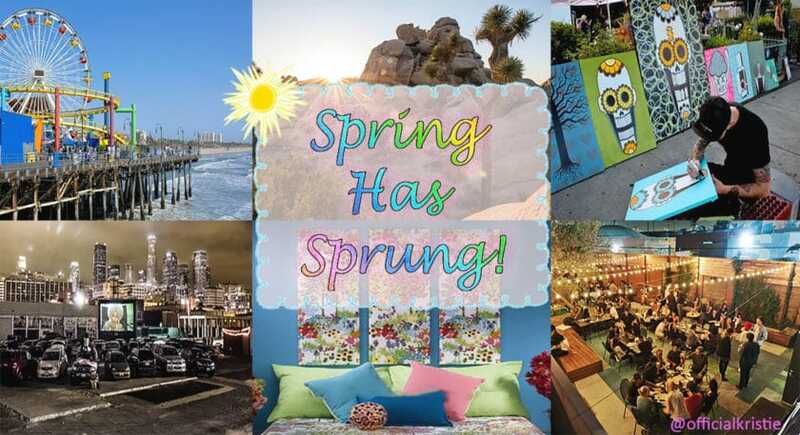 Here is your Los Angeles Spring Bucket List that will have you busy through the month of May. Check out the art exhibit Welcome to the Dollhouse at the MOCA. 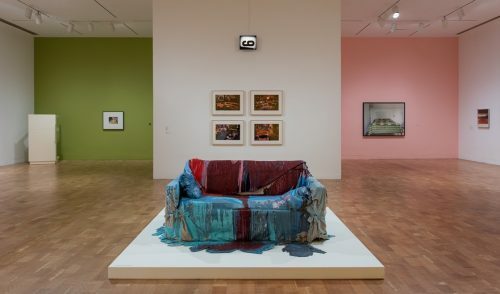 The exhibit features artwork and sculptures that display different outlooks on domesticity. Take a hike through Runyon Canyon. If you're feeling energetic after taking a fun and challenging walk, try taking a free yoga class with Yogi Steve. Classes are offered Mon-Fri at 8:45am, 10:30am and 2pm; Sat-Sun at 10:30am and 2pm; at the Fuller Entrance. Head to one of these nine amazing spots after you learn how to create the perfect picnic--what to make, what to bring, and what to buy. Don’t forget to bring a loaf of bread to feed the ducks! 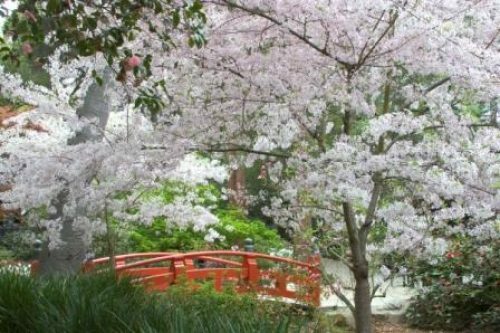 Take a walk through beautiful Descanso Garden during Bloom Boom and witness the gorgeous spring cherry blossoms. Daily tours will be offered until the end of April. 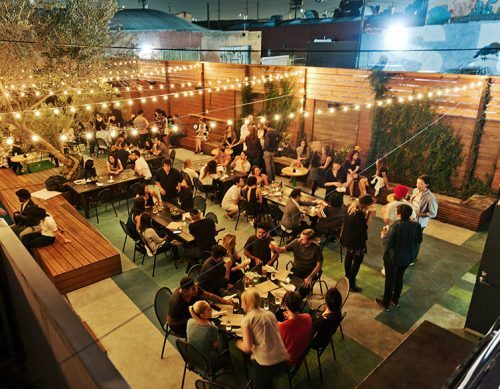 Grab some friends or your significant other and head out of town for the weekend. Some of our favorite trips to take are to Palm Springs, Joshua Tree, Big Sur, Las Vegas, and Mammoth Lakes. The Rose Bowl Flea Market is one of the largest flea markets in the country and features a huge range of fun and unique trinkets, clothing (new and old), and delicious food. The merchandise can range from hand-made creations to salvaged items, as well as artwork and DIY crafts. There is so much to explore, it's best to get there early (like 7:00am), and spend plenty of time browsing all the rare treasures. It is held on the second Saturday of every month; 7am-4:30pm. 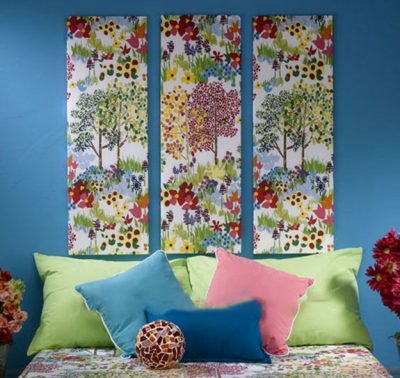 Brighten up your home by making your own fabric wall art with this tutorial from DIY Projects. Nothing feels more like spring than starting a garden. Whether you have a huge backyard or you’re living in an apartment, planting an herb garden is pretty simple. When summer comes and you want to show off your cooking skills, grab your home grown herbs to create some mouth-watering dishes. Attend Krzysztof Pastor's rendition of Romeo and Juliet that is put on by the Joffrey Ballet on March 9th, 11th and 17th at Dorothy Chandler Pavilion. 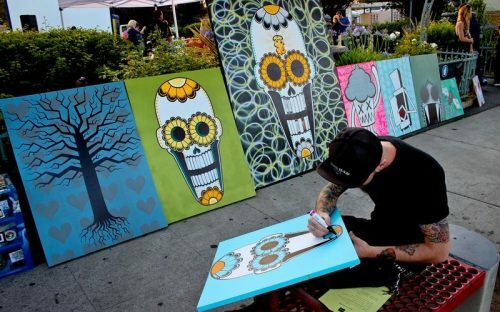 On the first Friday of every month from January to April, First Fridays in Long Beach hosts a free sidewalk showcase to support and draw attention to local artists and musicians. Come out and show your support and love for all your creative neighbors on April 6th for their final showcase. You simply can't miss this fantastic Spring celebration: The annual Festival of Colors held at Whittier Narrows Park, The Meadows. This event pays tribute to the Indian tradition of Holi. Attendees color the air and each other with bright, vibrant powders and enjoy worldly musical performances. March 10th and 11th; 11am-4pm. When the days become longer and as the sun starts to set, go for an evening bike ride. There are so many beautiful places to ride that have incredible scenery and views of the evening sky. Wednesdays are for wine, of course! Do Wine Wednesdays differently at Everson Royce Bar. Only $25 for a flight of three different wines to taste as well specialty culinary creations by award-nominated chef Matt Molina. Each week he brings a fresh selection, so keep checking back every Wednesday for a whole new experience. The Santa Monica Pier is viewed by some locals as a tourist hotspot, which it is, but that doesn’t mean we can’t spend a sunny spring day on the boardwalk. There is so much to do there. Be sure to ride the ferris wheel, and enjoy some funnel cakes. Open the windows, blast some music and start your spring cleaning. Read our tips on how to organize and clean out your closet. Donating your old clothes and making room for your new spring/summer wardrobe is a great feeling and will surely put you in the spring spirit. 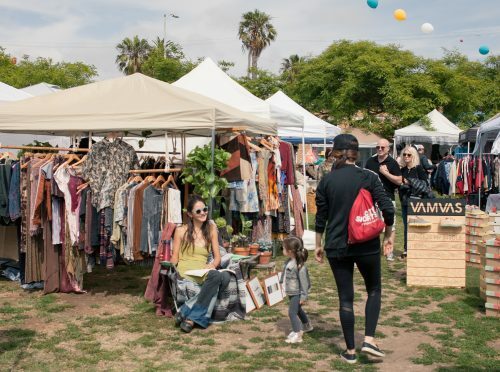 It's a vintage lover's dream at the Artists and Fleas Venice shopping market. With a variety of products that range from clothing to cosmetics to jewelry, this super new flea market loves the fashionably old-fashioned. Open every 2nd and 4th Saturday of the month; 11am-4:30pm. Explore a historical exhibition of tattoos at the Natural History Museum. Perhaps after an in-depth education on the history of permanent ink you might even want to get one for yourself. Stop by the in-museum tattoo parlor on your way out. Exhibition ends April 15th. Kites always look so beautiful in the vast, blue LA sky. Purchase your own unique kite and reignite childhood memories by flying it proudly in the park or at the beach. 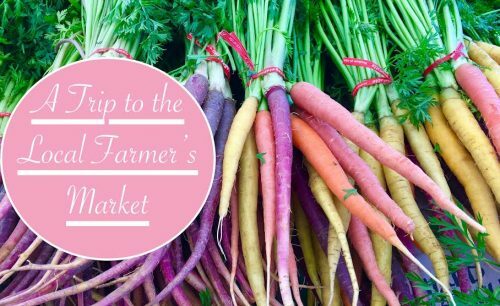 Skip your local grocery store and instead head to a farmer's market to stock up on fresh spring produce. Easter hops through in the spring. Make some fun, cute, and delicious Easter crafts for your friends and family to enjoy. Tap into your creative side and create a peeps vase or a flower arrangement from A Little Loveliness. All throughout the spring season, you can visit Grand Park to enjoy live shows and a rotating selection of food trucks. They are there every Tuesday and Thursday. On Wednesdays and Fridays checkout Yoga reTREAT! Nothing says spring like brightly colored nails. Choose a color based on Spring 2018 Pantone’s Color Palette, and follow these tips to make sure your manicure is spa worthy and long lasting. Enjoy the spring's seasonal berries this year at Knott's Boysenberry Festival. Enjoy all the rides and attractions you love year-round, plus over 75 one-of-a-kind boysenberry inspired dishes. March 16th - April 8th, tickets start at $49. Second Saturday is a free art event that takes place on April 14th which is it’s final show for the season. A night where various galleries that line Highland Park and Eagle Rock keep their doors open extra late for curious and admiring patrons. If you love art go check it out! 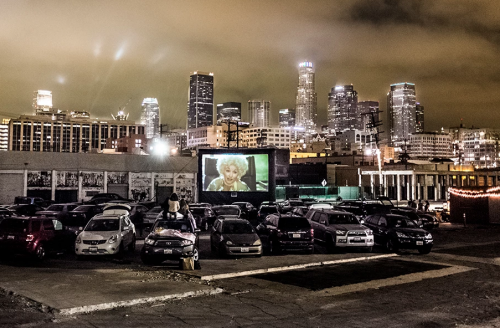 Usually when we think of warm weather and movies, we think of outside movie theaters but how about going retro and seeing a blockbuster hit or a cult classic at a drive-in theater?